The multisensory revolution is fully underway – this learning from neuroscience has broken free of the lab and into the mainstream, telling us that all our senses are interconnected, they are not unimodal i.e. you do not just taste, but what you see, smell, hear all affect your perception. For marketers this is particularly important as the natural extension of this concept is that a multisensory experience is a more engaging and memorable one. Who doesn’t want to be engaging and memorable? However, bricks and mortar retail stores rely largely on a visual and auditory experience for customers. 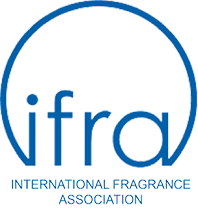 While arguably the technology to effectively deliver scent has been in the past difficult to access, now this is no longer the case with high technology devices available to deliver the perfect scent impression. As the battle to engage and enhance the customer experience rages in the high street scenting may open up a whole new window of opportunity. In a unique study in conjunction with Premium Scenting, the team at Walnut Unlimited wanted to quantify this effect of scent on the visual and auditory experience and understand what exactly we could learn. However, people are often unable to articulate how changes in their environment affect them, because they operate at an unconscious level we used a technique called galvanic skin response (GSR). GSR is a physiological measure of changes in skin conductance that help to tell us the level of physiological arousal, or if you prefer, involvement in an experience. We had two groups of people immerse themselves in six different Virtual Reality (VR) mulitsensory experiences ranging from a tranquil beach to base jumping, the only difference was for one group during these experiences an appropriately paired scent was delivered. It turns out that the magnitude of the effect differs depending on how intense the visual experience is. For example in a VR experience on a beach the scent resulted in a massive uplift, but for the base jumping VR experience there was almost no effect of scenting – but why? Well consider this, if you are in a relaxed, calm store environment, your physiological arousal will likely be quite low, adding in the scent then amplifies that experience. Say instead you are in a high street fashion with bright lighting, loud music and striking visuals – here your arousal levels are already high making scent less impactful. This brings me nicely round to congruency. Congruency basically means things that go together just like tea and cake, experiences are just the same and in harmony. Like a good recipe you have to blend the elements together for the desired effect, a smell of Christmas cloves and citrus would not be congruent with a summer beach store for example. While this can present a challenge it means that scent allows a richer palette to play with, matching sounds, smells, colour, layout, design together to amplify the experience to maximum effect. But ultimately, done correctly, this effect will last out of the store. Just as the experience is enhanced through multisensory integration so is the memory retrieval, that is the memory triggered by one sense will activate others, creating a longer lasting, and arguably more engaging experience. When you see an image of the brand for example it will trigger the memory of the scent and the associated experience, much in the same way advertiser’s know that showing chocolate in an advert is triggering the multisensory experience of eating it. Dr Andy Myers will be talking about the Multisensory Retail Revolution at today’s Shopper Brain Conference in Amsterdam. With a background in cognitive neuroscience fMRI and 10 years of experience in market research industry, he works to bring the worlds of neuroscience and market research together to better understand brands, brains and everything in between.